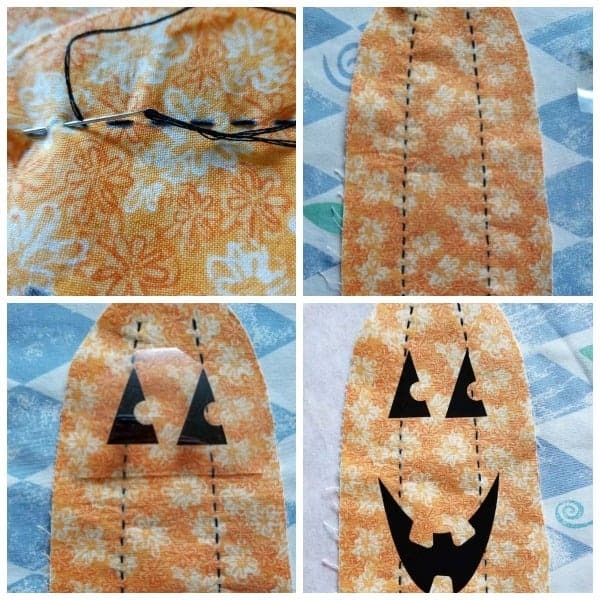 Decorate for fall or make something cute for your favorite little one with this easy-to-make stuffed fabric pumpkin made with Cricut. 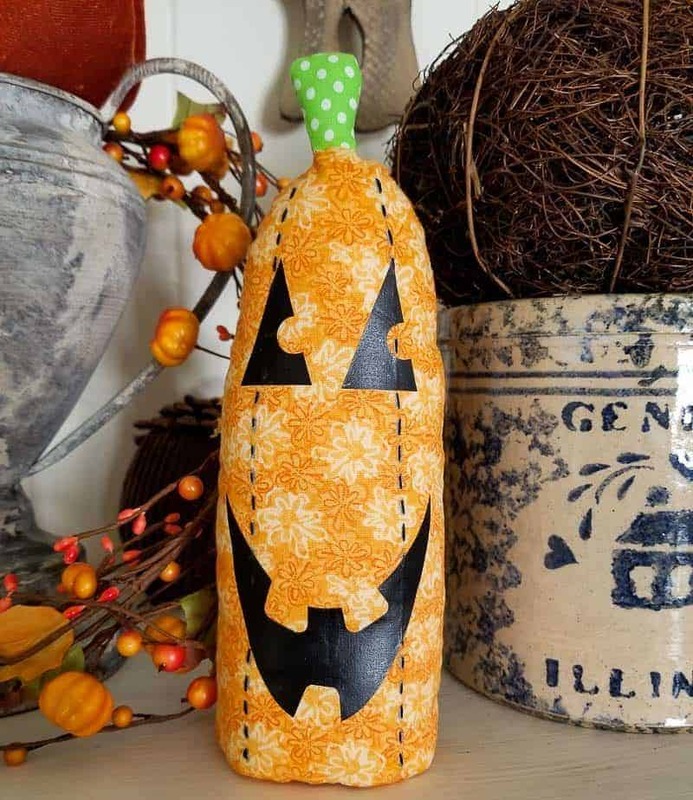 Hello and welcome to another Craft & Create with Cricut Challenge and this month, the theme is anything fall. 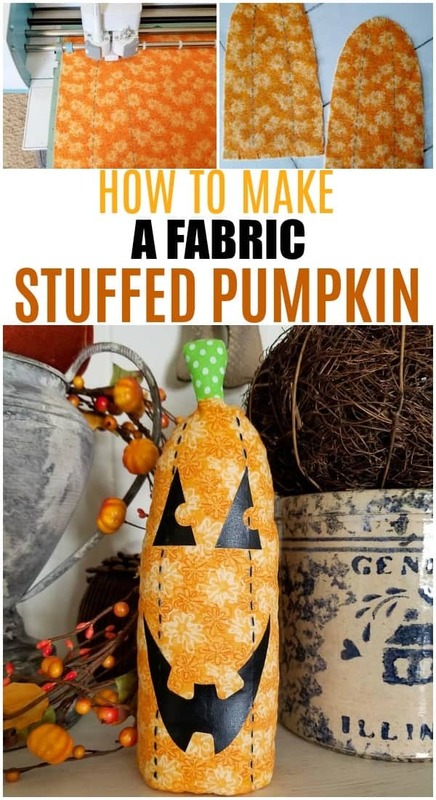 I am already thinking toward Halloween and made a stuffed fabric pumpkin. 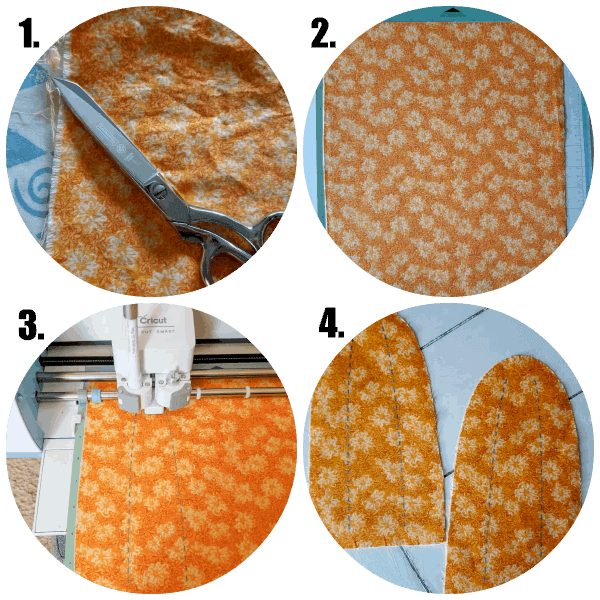 I was curious how fabric cutting would work using the Cricut and this was my first experience. 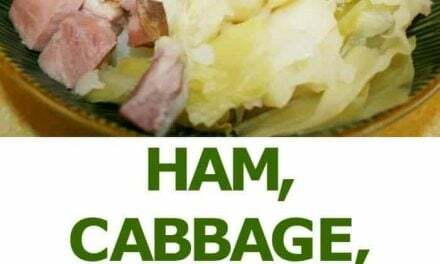 I am happy to report, it was so easy and worked better than I imagined. 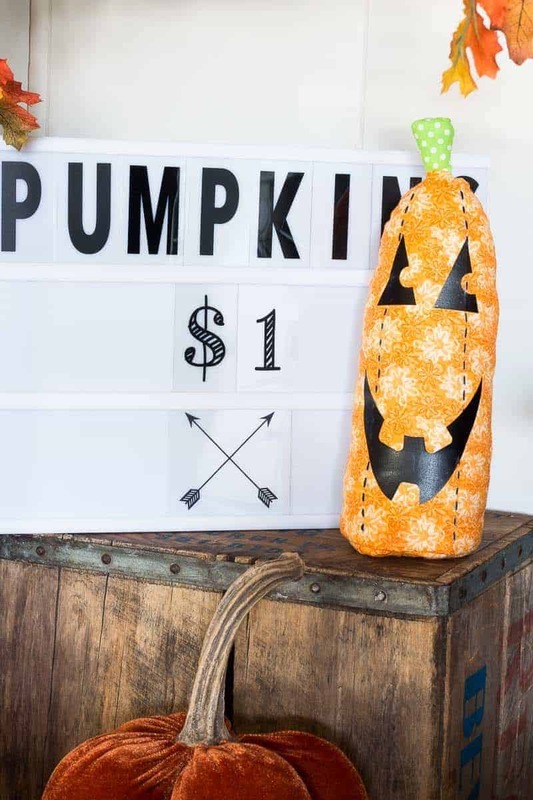 *For more Cricut Fall Inspiration, check out the bottom of this post. Once you have your supplies gathered, head to the Cricut Design Space (Cricut Access). I have a subscription to the service and it is well worth it. I find so much inspiration and with time always being in short supply, you can easily browse for a particular holiday, craft, etc., and then customize (if you want to) and make something awesome. I filtered my search by fall and pumpkins and found this stuffed pumpkin. I followed the screen prompts and directions pretty much exactly as presented, but sometimes tweak the design at this point to make it exactly what I wanted. If you have design space, you probably love it, and if you don’t, I recommend giving it a try especially with the holidays coming up. You’ll have so much fun with it and you’ll be able to make great use of your Cricut. I used mine (Cricut and Design Space) last night to make gift tags for an event I’m volunteering for today and I found exactly what I wanted and whipped out 18 customized gift tags in minutes. It was perfect. I had my fabric all picked out and ironed it so it was nice and smooth. I then trimmed it to size and placed it on the mat. Next, I followed the prompts and my fabric was marked and cut! Easy Peasy. After everything was cut up and marked, I followed the dotted lines to hand stitch the pumpkin. The hand stitching was fun. I haven’t done that in ages and while mine is not perfect, I like the rustic and dimensional aspect it gave my stuffed pumpkin. 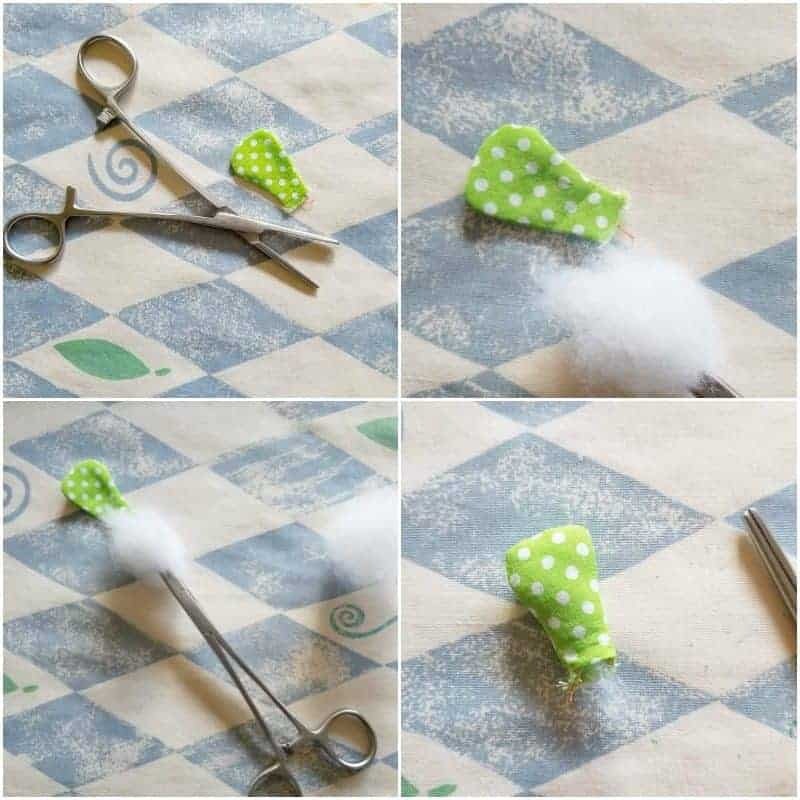 As a side note, for working with small sewn pieces that need to be turned inside out and stuffed, I like to use hemostats. They are great not only for crafting, but I use them all around the house for all sorts of tasks and they’re less than $6.00! 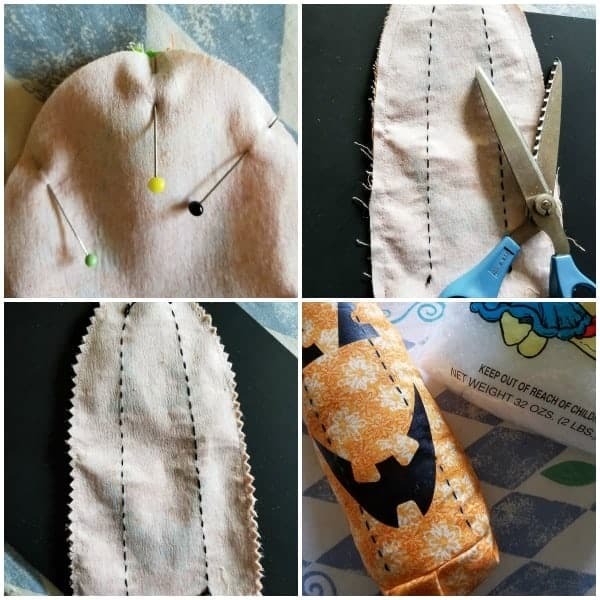 I then sewed my pumpkin edges together, turned it inside out, trimmed with pinking shears (which are from my Mom so anytime I use them, it’s nice to think of her ♥) and I stuffed with batting and polyfil pellets. The pellets aren’t technically necessary, but placing them at the bottom of anything you stuff gives it weight and helps it to stand. And there you have it! 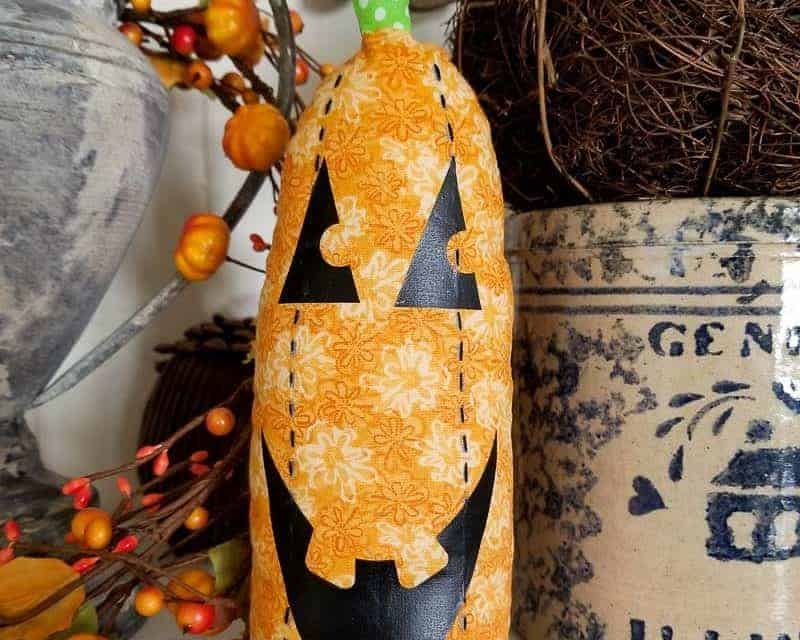 A super cute and easy to make Fabric Stuffed Pumpkin and here are the other team members amazing fall creativity all made using Cricut. *If you’re on the fence about whether or not a Cricut Machine is for you, this page has all the machines plus some of the possibilities for using them. My hope is that once you see all it can do, your decision will be easier. If you want to wait for a sale, I share sale news on my social media (Instagram, Facebook, and Twitter) as well as on my DEALS page where you can find all the latest deals not only from Cricut but Macy’s, Target, Grove Collaborative and MORE.